When someone special in your child's life has a birthday it would be rude not to make a fuss don't you think?! This post and the next will showcase Jessica's efforts for one of her favourite people on this whole planet! 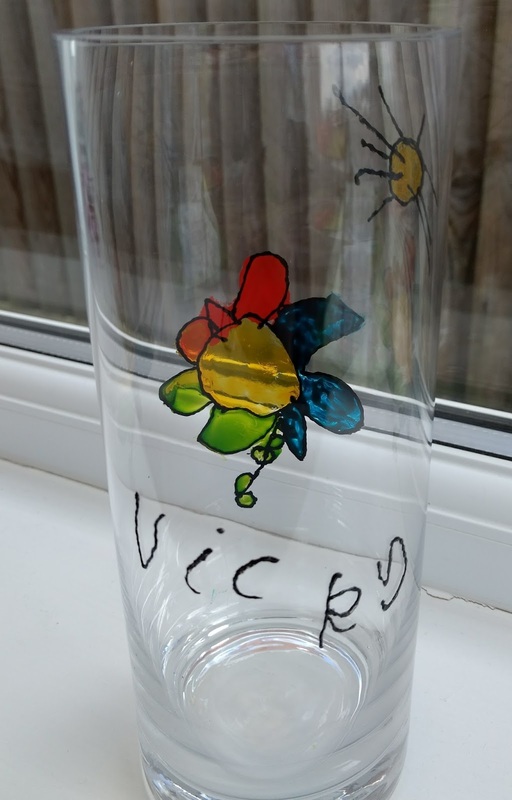 This first gift (photos are front and back views) is a cylindrical vase decorated with her drawing and writing. 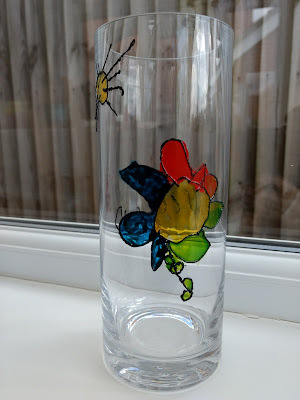 She drew her design on a small piece of paper which I placed inside the vase to trace over using black relief outliner. After drying overnight, Jess painted the design herself. 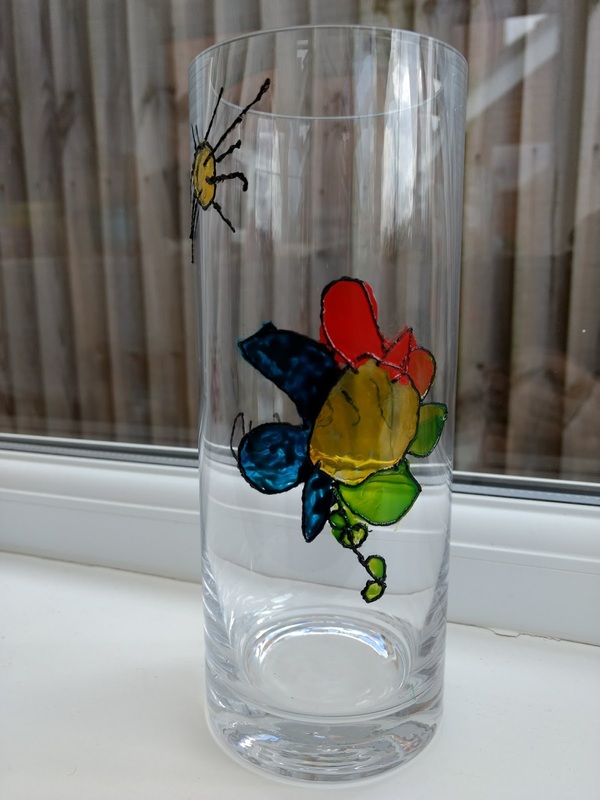 Drying it without the paint running was a challenge because of the shape of the vase so we'll be shopping for square vases in future!